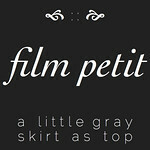 a little gray: Hi, my name is Jessica, I used to blog here. Hi, my name is Jessica, I used to blog here. Well hot damn. Two weeks went by without me visiting this place and there is not really a good reason. Now, I am not going to be one of those silly people who come on here and say, "So sorry, I know you missed me terribly!" ... Not that I don't think that's true of you. I know you have all been dreaming about A Little Gray and pining for the day when you would feast your hungry eyes on some new material here. (Don't try to pretend, coy readers.) I just wouldn't think of shaming you by pointing that out to everyone here, on the internet's most widely read blog ever. It wouldn't be couth. No, you want to know the honest to goodness reason I haven't been interested in blogging much lately? Because I've been sewing like a mad woman. Once I get any free chunks of time to myself, (and the house is brought up to a standard that won't get my children seized by the state, but not much more), I just want to do nothing but sew. Needless to say, I have some things to show you. 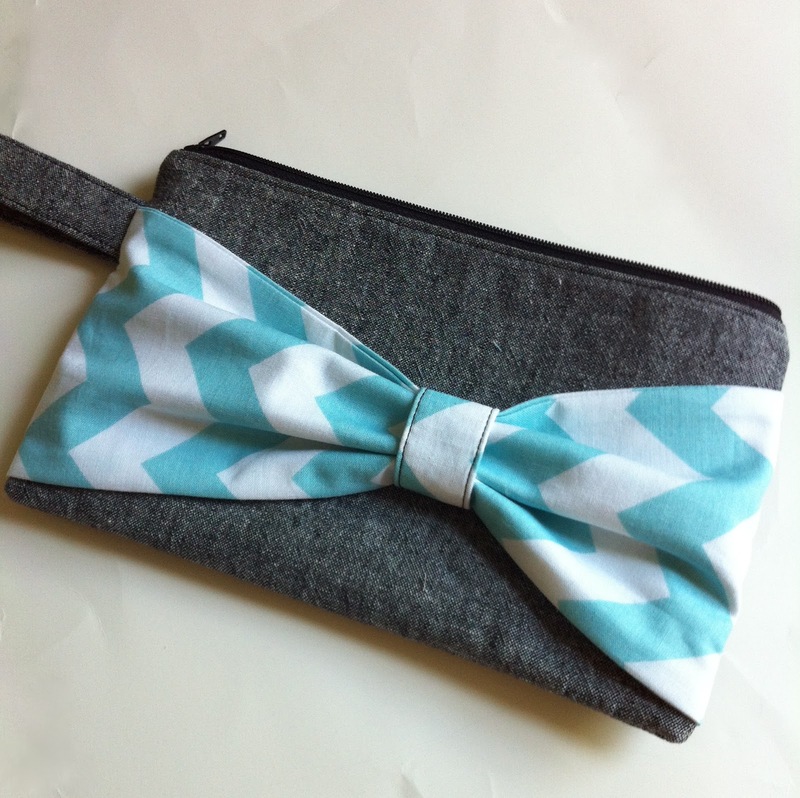 One such thing is this cute little bow clutch. I basically used this tutorial, and it's really fast and easy. This one is for a friend, but of course I'll be making another for me soon. I love it. LOVE IT. 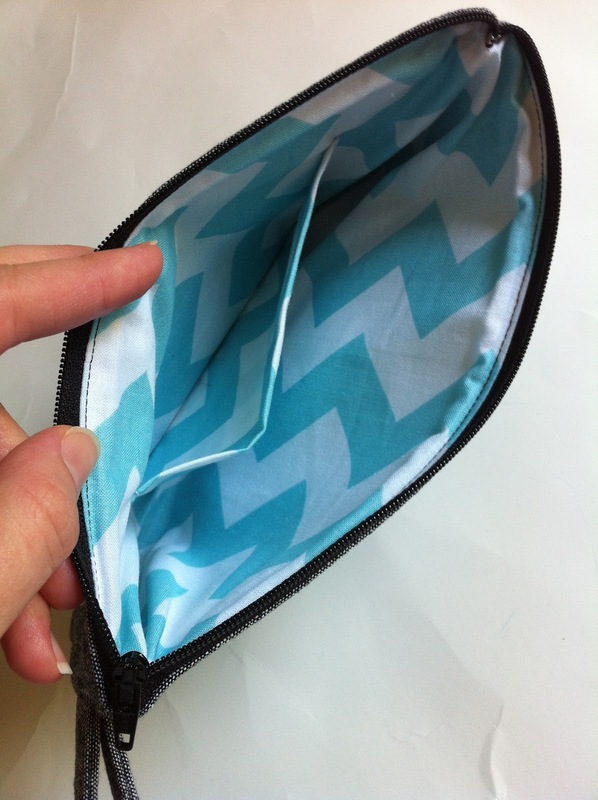 The tutorial has no pocket, but I added one to the inside. Can you believe how free-style I am? Out of control. The fabric is Riley Blake Chevrons and Essex yarn-dyed linen in black. I'm getting down to the last of my fourth or fifth yard of that stuff and I'm really distraught over it. It's the perfect fabric for everything. I've also used it here, here, here, and here. Oh, and here. One last thing, today I'm over at Sew Together, guest posting about my "Sewing Best Friend." Spoiler alert: it's my stash. So go over to see the goods right here, but also leave a comment about what you think of stash growing and such. I'd love to read them! Heeeyyyyyyyy! This is exactly what I needed in my life. so, tell me more about your new walking foot... love that bow clutch. i need one in my life. I can't wait to see your quilt! ahh! I've been wanting to make one, but I am NERVOUS! wahoo! Wait, you still blog? I had no idea! Thought you'd converted to IGO (instagram only). ;) Welcome back, my friend. That clutch is super duper cute! The clutch is the cutest.... But I love (what I can see) the quilt! I too want to do nothing but sew when i get a chunk of time- or when I put curious George on netflix and let just go through several episodes before "oops! Mommy forgot to turn it off kids!!!" wink wink. I have so many ideas, and so little time. Oye. My fabric stash is about to get blown up as I TRY to whip up a fall wardrobe for my gal without buying anything....ER buying much, I guess. FINALLY, a post. It's about time. Geez. And I love that clutch. And you know I am waiting with baited breath o see that finished quilt!!!!! Haha, read your article/interview. I like your approach to resisting the FQ stacks. You've got to have a system when you work at a modern fabric shop! Japanese x and + Scrappy Quilt- Done!